The exhibit, Over Here: A Centennial Commemoration of World War I Memorials in NYC Parks features 39 of the 102 World War Memorials in New York City Parks with 94 vintage and contemporary photographs, original renderings and objects. 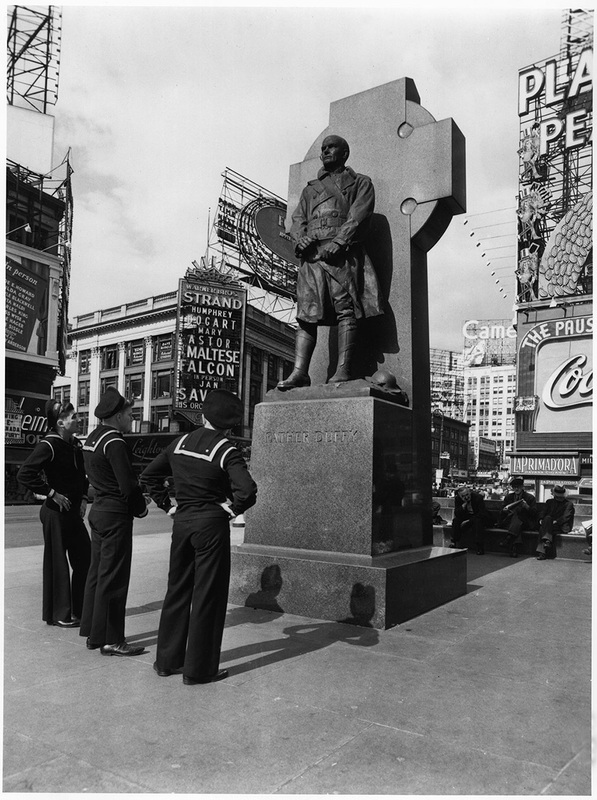 On view will be many familiar images, such as the sculptor Gertrude Vanderbilt Whitney, an original rendering of Father Duffy in Times Square (our featured image above), and the bronze maquette for the Woodside Doughboy. The exhibit conveys the losses communities throughout the city experienced, and on view are the artistic responses to that loss, along with references on how parks were used for the war effort. Over Here: A Centennial Commemoration of World War I Memorials in NYC Parks will be on view from September 14 to November 24, 2017 at The Arsenal Gallery, located at 64th Street and Fifth Avenue, third floor.